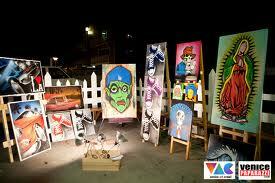 The Venice Art Crawl is a non-profit organization by and for the people. Our goal is to share, inspire and promote collaboration within the Venice community through mixers and art events. Join us by attending, sharing your vision and what inspires you. Our ultimate aim is to foster and reinvigorate the creativity that has historically and currently makes Venice such a vibrant and dynamic community.